Down by the water the soil is wet with richness. The currents stream past, the waves inexorably flow in and out. Water holds us as its dissolving force caresses our skin. The wisdom of ages flows over us, washes off the sweat and stains of daily struggle, cleanses the wounds of past grief and heartbreak. Water holds the memories of all, the endless repository of the collective unconscious, and the inner knowing of who we are and how we love in this fertile moment. The Pisces Solar Eclipse arises in alignment with Neptune on 26 February 2017, the final of the series of Pisces and Virgo eclipses we have been experiencing over the course of the past two years. Both an ending and birth of a potent new beginning, within its watery release we discover both who we were before and who we will become, the memory of our future path circulating through our body in the dissolving second of an instant. The eclipses in Pisces and Virgo have been occurring since March of 2015, and so all of the lessons we have learned and integrated, as well as those we may still be struggling with, are embodied in the moist air all around us. There is a particularly strong mirroring between this Annular Solar Eclipse in Pisces with the Annular Solar Eclipse in Virgo that occurred on 1 September 2016 at the time of the square between Saturn and Neptune. The visions of growth felt deeply within that were not yet manifesting at that time may now be more palpably felt and tangibly taking shape. Being an annular eclipse, it means the void of its blackness will have a ring of light around it. Annular eclipses occur as a result of the Moon being far enough away in orbit from the Earth that its shadow does not completely cover the Sun. Rings bring to mind commitment, honoring intentions with serious dedication and devotion. The ring of light around the Pisces Solar Eclipse is awakening deep knowing about ourselves we realize with crystal clarity is not only true but requires nurturing responsibility and tending. One of my favorite interpretations of solar eclipses is by Dane Rudhyar, who said the symbolism of the Moon’s shadow covering the face of the Sun suggests that forces from our past, as well as unconscious influences, veil the present with their fecund darkness. Eclipses can feel like an uncontrollable tidal force taking us into an unknown we do not always feel ready for. 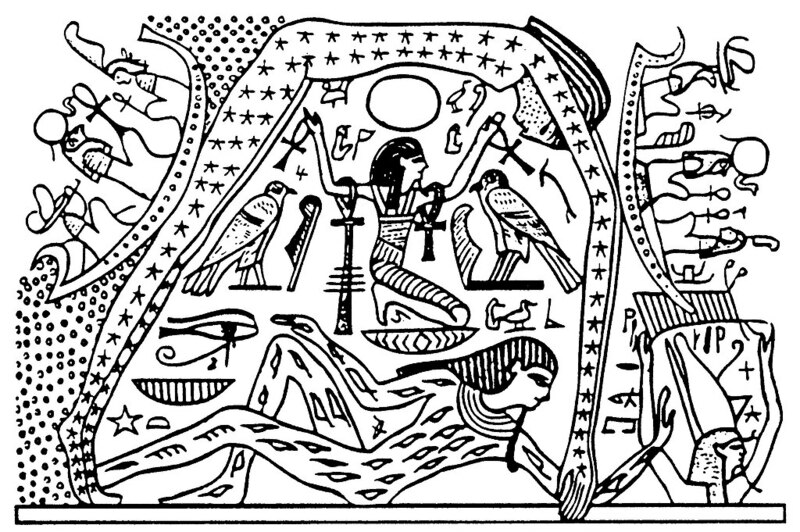 In combination with their unworldly visual element when seen, people have feared eclipses for ages, in ancient times portraying them as a great dragon of chaos and creation consuming our Sun and Moon. Yet eclipses do not need to be feared. Dragons are symbols of instinct and chaotic destruction that bring together the spiritually elevated with the chthonic, similar to eclipses in that greater wholeness can be found through the dissolution they bring about. There is immense purification within this final Pisces Solar Eclipse that liberates us from old hangups and fosters strident vivification. The Solar Eclipse is conjoining Neptune in the inner home of Jupiter, the place of boundless inner visions and gnosis. As the Sun is obscured by shadow, Jupiter in Libra will be forming a mysteriously strong bond with the Solar Eclipse through antiscia, even more strongly pulling in the catalytic firepower of the opposition between Mars and Uranus in Aries with Jupiter. The Solar Eclipse is also connected to the conjunction between Mars and Uranus through contra antiscia while Neptune also remains involved in longer lasting contra antiscia with Uranus. This means that the opposition between Jupiter with Mars and Uranus as well as the conjunction between the eclipse and Neptune are all tightly woven together in a pulsating field of release. In collective events the conjunction between Mars and Uranus in Aries opposing Jupiter could lead to greater eruptions of violence and dogmatic diatribes, whether the dogma is rooted in nationalism, religion, or other human constructed belief systems. In the realm of the personal, this same fiery union of Mars and Uranus can bring about groundbreaking empowerment and self assertion that is not purely selfish but rather also uplifts others through the creative force unleashed. Mars is powerful and at home in Aries and brings dynamic force to the Pisces Eclipse that will jar loose whatever has become stagnant or restrictive in one’s life. These signatures call for us to let go of the old illusions that have been keeping us limited through conventional thinking. From the death and shedding of old restrictions will erupt forth pure vitality that may be expressed through one’s daily actions and choices. 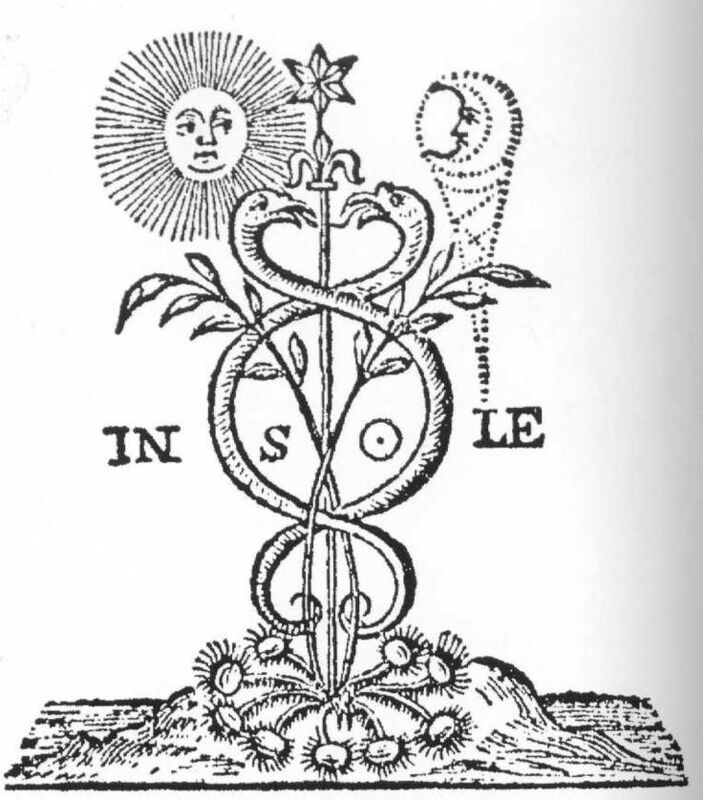 Being the final eclipse to occur with the lunar nodes in Virgo and Pisces, it is worth a deep pondering over the fact that the ruler of the North Node in Virgo, Mercury, is in Pisces and applying to a conjunction with the South Node of the Moon in Pisces. Under the turmoil of world events, the ridiculous and frightening posturing of world leaders, exists the eternal wisdom of nature and the soulful spirit weaving throughout our material realm. Though in times of bleakness it may feel as if we have become more separated than ever from the wisdom of our ancient elders who walked in honor of the sacred life found in every aspect of our environment and surrounding universes, our inner knowing remains connected to the very same sources of divine revelation. Simultaneous with the immature egotism and aggressions of power hungry humans exists others awakening awareness of interconnection and courageously giving to others in need from loving hearts. Allow old wounds and emotional complexes you have been identifying with to be washed away in the black ocean of the eclipse. From purification will emerge a burning heart full of passion that can lend intuitive guidance to every decision needing to be made. Mercury in Pisces is attuned to the nonverbal underlying fabric of emotions and psychic emanations. Though feelings may be difficult to be placed in clearly defined terminology, love will be readily available to share widely. At the same time that destructive violence is shattering world structures, a protective force of courageous care may arise that can tend to whomever or whatever is adversely impacted by the rupturing. In discovering that it was none other than a portion of ourselves which erected this reality, we gain the power to build as we see fit, with what materials we have assembled. The maze is ours to re-create, our soul the architect. Yet sometimes the tortuous labyrinth holds within its secret heart a wisdom we did not expect. Its being is no abomination, but exactly as it should be. The realization transforms the structure itself from a prison to a palace. Liberation is achieved here through insight alone. Saturn has strength in the first face of Pisces and finds itself at the time of the eclipse transiting through the third face of Sagittarius where it also has the dignity of decan. Saturn in Sagittarius remains in a harmonious sextile with Jupiter in Libra, which is also in a decan that it rules. This places the ruler of the eclipse in harmonious aspect with the ruler of the eclipse’s decan, with both ruling planets residing within faces that they rule. The lesson here is clear. No matter how much despair you may currently be feeling from the suffering of worldly events or personal loss, there is immense astrological potency that supports recreating one’s reality from a place of essential value. The Pisces Solar Eclipse is ideal for releasing attachments to everything that no longer feels authentic, and focusing intention on creating a life full of deeply felt fulfillment. Gray you are soooooo brilliant! I look forward to your posts like a child in anticipation of a great gift. Awoke early this morning to read about the Solar Eclipse was once again brought into equilibrium. Connecting March 2015 with this very moment in time has been an overwhelming moment of power and courage. In life joy is engraved on the heart, the joy and courage in seeing my daughter move away from me becoming her own woman. The overwhelming loss of our former reality has tested the strength and beauty of my own heart and soul. All of this has culminated in this moment in time what an extraordinary experience. A religious experience linking back, bending back bringing full circle. Thank you Gray Crawford for sharing in the most POWERFUL of stories the mother child reunion is only a moment away. A brilliant article which helps me understand much of what is occurring both in the world and in my own life (the eclipse is conj. my natal sun). Thank you very much. There is so much to meditate upon in your article. “Allow old wounds and emotional complexes you have been identifying with to be washed away in the black ocean of the eclipse. From purification will emerge a burning heart full of passion that can lend intuitive guidance to every decision needing to be made.” Perfect.